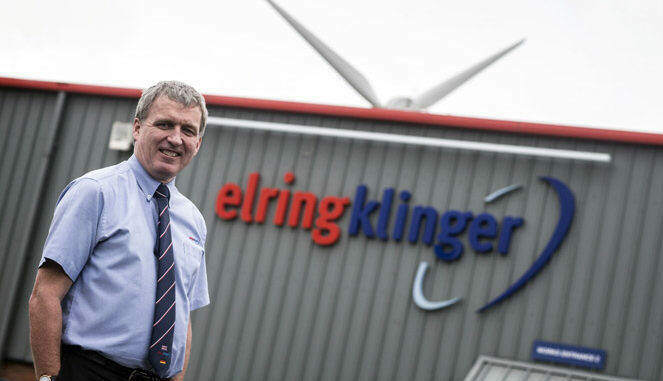 Automotive parts manufacturer ElringKlinger has started production on a £12m-a-year contract with Jaguar Land Rover. The Redcar-based car parts maker, which employs over 300 people, was selected by Jaguar Land Rover to meet new demands after Britain’s largest car manufacturer unveiled its new state-of-the-art engine manufacturing centre in Wolverhampton, which produces 1,200 engines a day. Having worked with Jaguar Land Rover previously, ElringKlinger will now manufacture and supply 36 heat shield and gasket components, which will be used in both engine bay and vehicle assembly applications, for six engine variants. Managing director Ian Malcolm said: “We have worked with Jaguar Land Rover for a number of years and have a strong working relationship. “Implementation of this programme has been running for over three years, which is typical for a new product introduction, so it’s great to see the contract coming into fruition as the first components come off the production line. “This project is the biggest that ElringKlinger has ever handled and over the past three years we have been working very closely with Jaguar Land Rover behind the scenes to prepare for the start of production and installing a dedicated team of more than 12 to manage the contract. “There has been significant investment in the plant to help us implement highly innovative technical solutions and maintain our competitive edge. The Redcar-based company recently announced ambitious growth plans for 2017 with sights on 50 percent growth in product sales and plans to recruit another 30 direct operators this year. Further investment in the Redcar site is also planned to accommodate the larger workforce and modernise facilities.